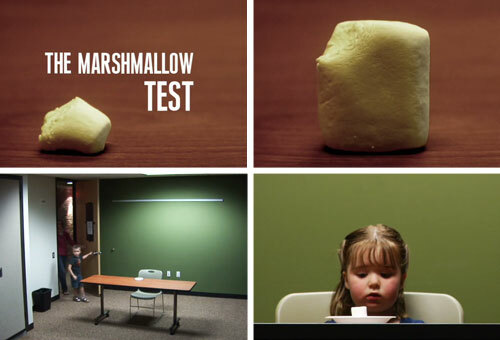 In 1972, a group of Stanford University psychologists conducted an experiment on delayed gratification using . . . marshmallows! Children sat at a table with one marshmallow in front of them. They could eat the treat immediately; but if they waited, then they got a SECOND marshmallow. Would you have possessed the discipline as a child to wait patiently? A longitudinal study of the original group discovered that the children who waited for the second marshmallow made better grades in school. In high school, they also earned higher scores on their SATs. Jim Rohn is a successful businessman and motivational speaker. He observes: We must all suffer from one of two pains: the pain of discipline or the pain of regret. The difference is discipline weighs ounces while regret weighs tons. Rohn’s words contain both bad news and good news. The bad news is there’s going to be PAIN regardless of our choice—life IS difficult. The good news is we choose what type of pain to experience: the momentary pain of discipline or the lasting pain of regret. Discipline endures momentary pain for long-term gain. Regret purchases short-term gain at the cost of long-term pain. Eat one marshmallow now or wait for a second one later. I’ve become more and more convinced that delayed gratification is a fundamental spiritual principle of the Christian life. God created us a people of passions. Our passions and desires are good gifts from a loving Lord. However, we spend a lifetime determining whether we will control our appetites or our appetites will control us. Our desires make wonderful servants but terrible masters. The principle of delayed gratification—saying “No” in the short-term for a greater “Yes” in the long-term—applies to every aspect of life: school, work, responsibilities, chores, finances, sexuality, diet, exercise, addictive behavior, and more. In a fallen world, the bad news is every choice involves pain. The good news is that we choose which type of pain to experience: the pain of discipline or the pain of regret. Discipline weighs ounces and regret tons. Wait for the second marshmallow! For those wanting to read more about delayed gratification and procrastination, I recommend a book by Brian Tracy entitled Eat that Frog. Its available at amazon.com for only $8.74. This is a great one to refer to, Bill. We enjoyed watching these marshmallow tests in some staff development training. The expressions of the children are priceless! I do see more evidence of delayed gratification being an issue in today’s society.